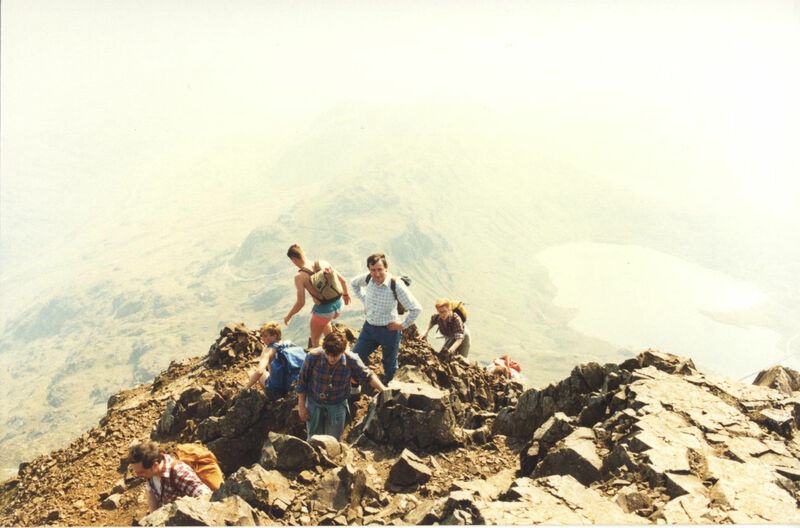 By 1985 there was a general feeling that Fulmer Research Institute should be doing something to bring all together all of its component parts together for a social/sporting activity and hence the idea was born of a joint weekend expedition to climb Yr Wyddfa (Snowdon), with staff from both Fulmer and Yarsley sites. 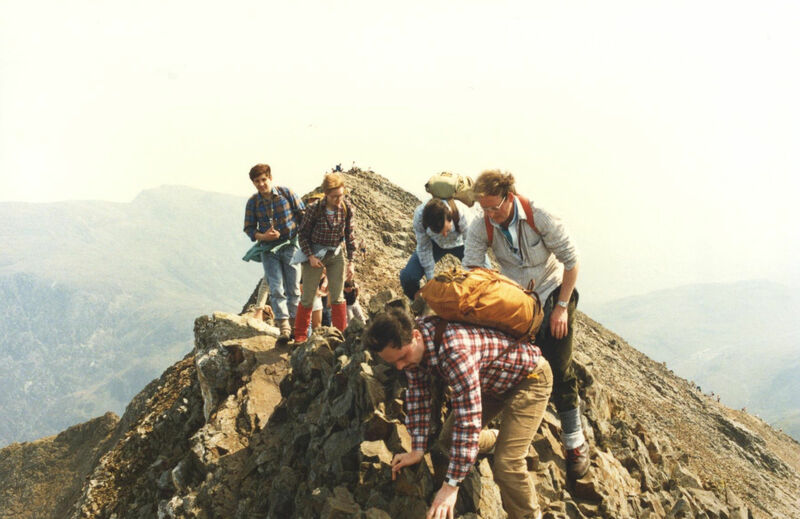 In addition to the intrepid walkers there were a few willing helpers who came to along for the group camping adventure but had no wish to climb Yr Wyddfa. 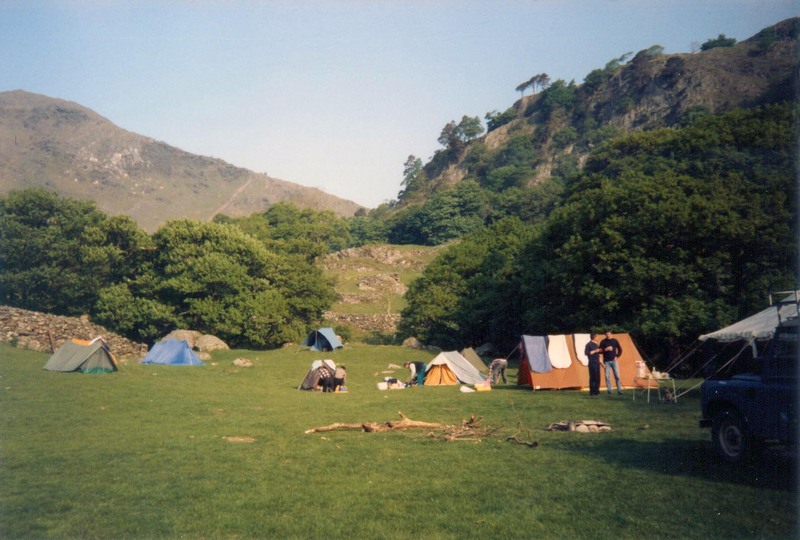 After making their ways to Wales late Friday, camp was set up at Haford-y-llan, Nant Gwynant at the end of the Watkin path to the summit. 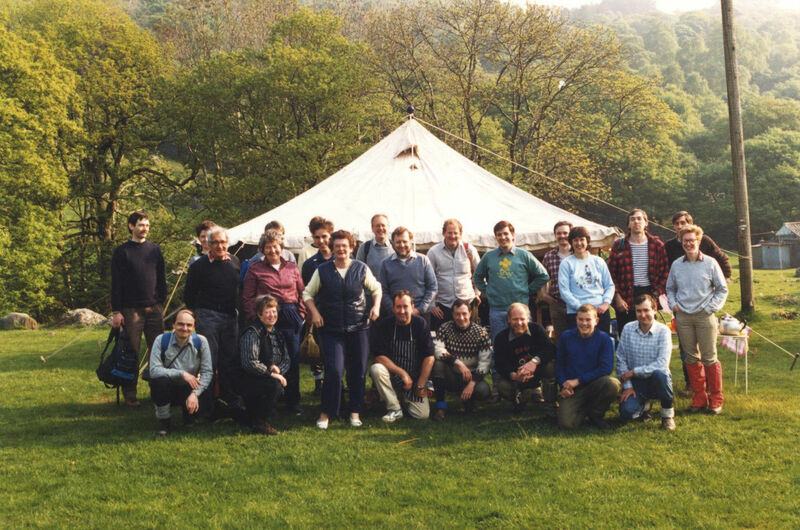 From left to right: Rob Watkins, Michael Day, ?, Ben Hatt, Doreen Hatt, Eileen Adams, ?, ?, ?, Rosemary Cox, Dave Adamson, George Cox, ?, David Bashford, Martin Moore, Roger Adams, Dave Barnes, ?, Carl Barnes, Jo Wilson, ?, Bob Hussey, Neil Kennedy, ?, and Hilary Campbell. Can you help with the missing names? 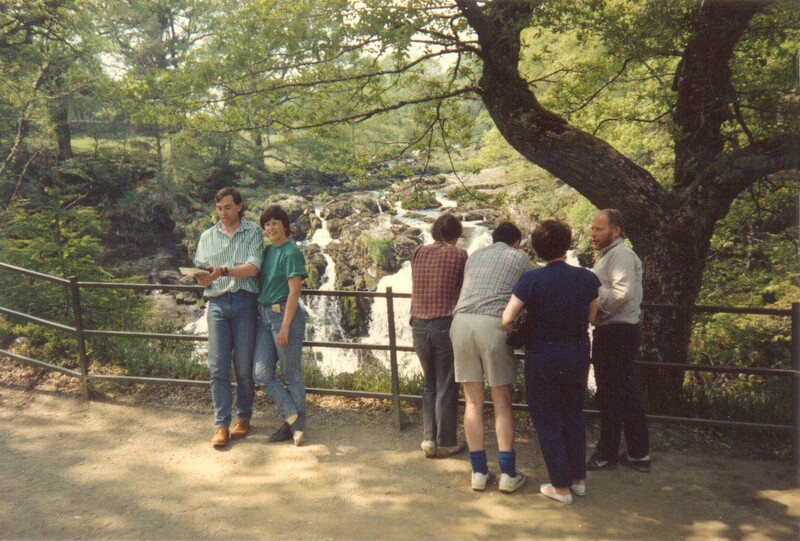 David Davies and Martin Moore did not camp but joined the group for the walk on Saturday. 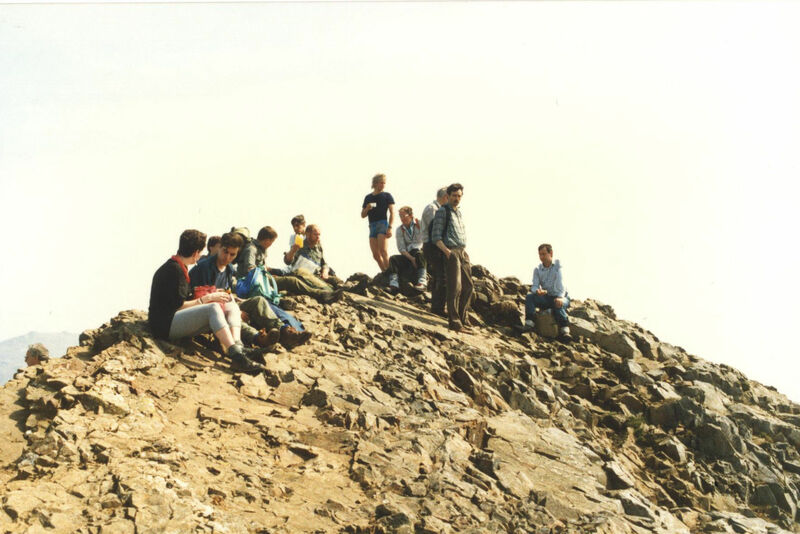 With the perfect combination of cloudless skies, glorious sunshine and little to no wind, the more experienced walkers decided to attempt the whole challenge of the Snowdon Horseshoe, whilst those less experienced aimed to climb Yr Wyddfa via the Rhyd-Ddu Path returning to the campsite by the Watkin path. 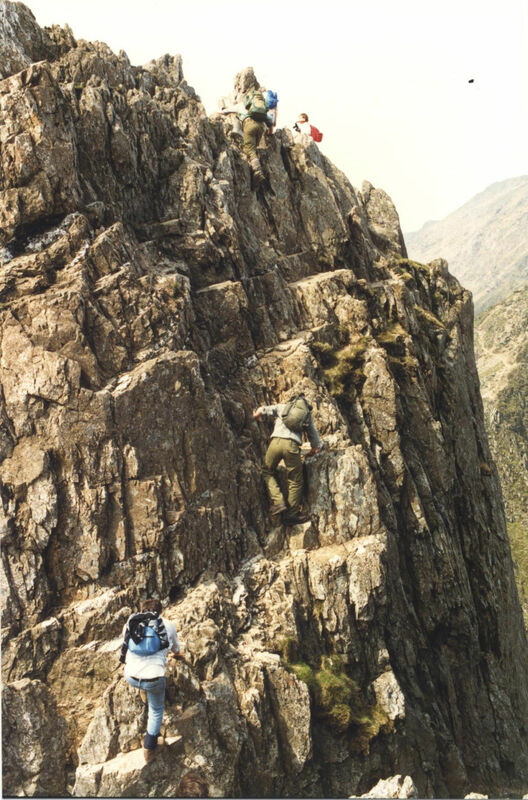 The route for the more experienced walkers led them along the upper Pyg Track to Bwlch y Moch, then onto the Crib Goch ascent, a scramble up about 350m, then onto Eastern Summit of Crib Goch before their traversing the narrow arête of the Crib Goch and scrambling a way through the Pinnacles obstacle at the end of the ridge. 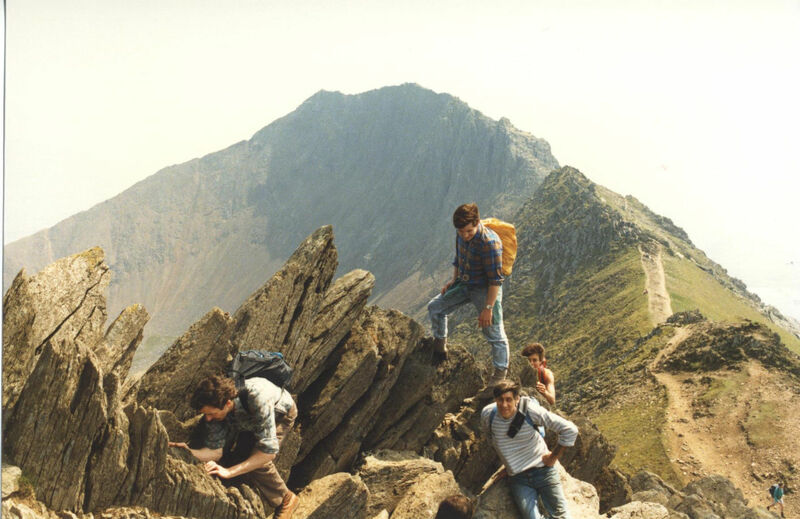 Once through the Pinnacles a fairly relaxing walk followed along a much wider ridge track which first descends, then climbs to the Garnedd Ugain peak at 1065m, before descending 150m and subsequently ascending to Snowdon (Yr Wyddfa) summit at 1085m, where they met up with the other party of walkers. 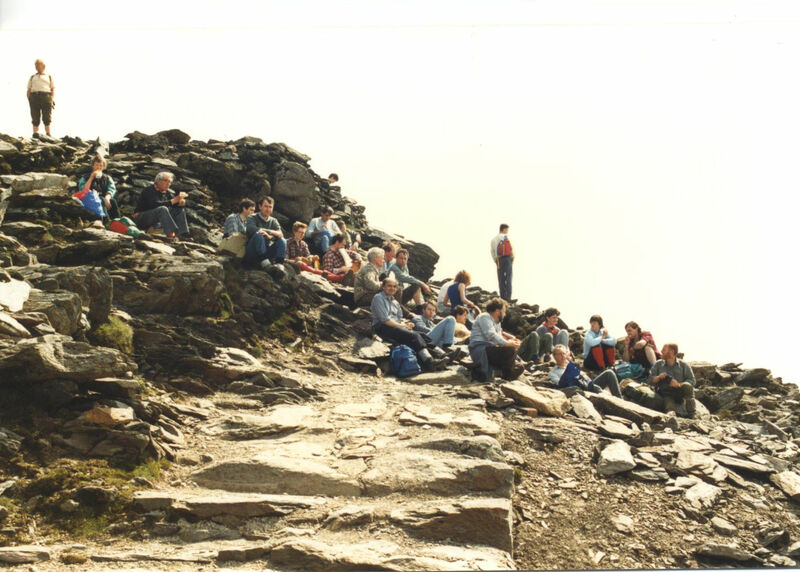 Both groups subsequently descended partway down the Watkin path before the more experienced walkers split off to complete the southern part of the horseshoe, traversing Y LLiwedd, before finishing at their start point of Pen-y-Pas.